A group of SRRA members is embarking on a pilot project to replace trees in Springfield Road that have been lost or are in danger due to disease. 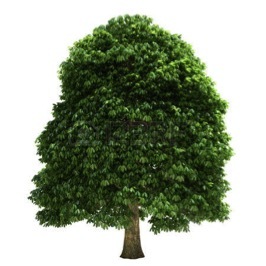 The Council Arborealist has identified five trees as needing replacement. If successful the initiative could be extended to other streets in the area. We will be raising funds in the near future so watch this space, if you would like to help please reply with your email address and we will be in touch. This entry was posted in Communications, Community, Streets In Bloom and tagged Community, Environment, Springfield Road on 28/09/2017 by srraadmin. Cityclean litter survey – Win £50! We want to hear your views on litter. Cityclean at Brighton & Hove City Council is starting a new campaign to reduce litter, working with the environmental charity Hubbub (www.hubbub.org.uk). Please complete the 4 questions in this survey and you could win a £50 prize. Thank you. This entry was posted in Communications, Community, Environment and tagged Brighton and Hove City Council, Environment, Litter on 31/07/2017 by srraadmin. Thank you for offering to act as an intermediary to allow SRRA members to liaise with Damian Marmura on the question of the bins issue. Recently we had a follow-up meeting to discuss the various issues that came up at the AGM. Here is a summary of the points that arose. There is widespread concern about the proposal to introduce more wheelie bins for recycling. The pavements in this area are narrow, and are already severely cluttered. This presents a particular obstacle to wheelchair users and to people with buggies etc. Many of the existing green wheelie bins and black recycling boxes get left out on the pavement all week. This not only causes obstruction, and necessitates single file for those able to walk; it has also meant that approximately a third of the width of some pavements is unusable, inviting fly-tipping, and allowing weeds to grow and bushes to overhang. New wheelie bins will make a difficult situation impossible. Some of the houses in this area have little or no room to keep bins off the pavement; however, many do have room, but we believe the occupants simply aren’t aware of the rules. The existing green bins were delivered without notice or consultation, and in fact shortly after residents had been told that Springfield Road, at least, was not suitable for wheelie bins. It is true that letters have since been sent out by the council, explaining the rules, but as these were delivered in envelopes and addressed to “The Occupier”, it is doubtful whether many were even opened, let alone read. We have never had street signs such as the ones in nearby Shaftesbury Road, which inform residents of their collection day and explain that bins must be kept off the pavement on other days. We have a rising student population, and it appears that neither landlords nor the universities inform them of how they should use their bins. Neither SRRA nor individual residents have been consulted about the proposed new wheelie recycling bins. We understand these bins were “piloted” in areas such as Hangleton which are quite different, having bigger gardens, etc. It appears that Springfield Road, at least, no longer has a street cleaner. There have recently been several instances of rubbish being strewn across the pavement as a result of residents not placing it in secure containers to protect it from gulls, foxes and the wind. The result is that it simply gets left to blow around. (a) Street signs explaining the collection day and what to do with bins between collections. Some streets which already have these signs clearly don’t need them, so perhaps they could be transferred here at minimal cost? (b) A real effort to inform residents of the rules about bins and the problems caused to other residents and users of the pavement if they are left out. This would require, as a minimum, properly individually-addressed letters, and possibly also home visits in particularly troublesome areas. SRRA can assist with this. (c) Refuse collectors to be asked to return bins to the premises after emptying, and not to leave them on the pavement as at present. (d) Residents who have difficulty moving their bin to be offered help. SRRA can help with this. (e) Consideration given to the provision of communal bins instead of individual ones; such bins would have to be properly labelled to explain who they are for, and possibly lockable. Also more information given about existing nearby communal bins such as those in Preston Park. (f) The removal of unnecessary wheelie bins from residences which currently have too many. Also replacement of large bins with smaller standard ones, which take up less pavement width and are easier to move when full. (g) The abandonment of separate glass collections, which would obviate the need to retain one black box per residence, as we believe is proposed. Other parts of the country manage to deal with mixed recycling including glass; we do not see why these cannot be separated at the depot. (h) The reinstatement of street cleaners. Perhaps we could meet with you and Damian in the near future to discuss this. This entry was posted in Communications, Community, Environment and tagged Brighton and Hove City Council, Environment, Recycling, Refuse on 31/07/2017 by srraadmin. This entry was posted in Communications, Community, Environment and tagged Environment, London Road, London Road Area Local Action Team on 27/05/2017 by srraadmin. Brighton and Hove Bus Company will begin trials with this electric bus. Bosses have given the green light for a plan to pull the petrol and run their first trial of electric buses. Brighton and Hove Bus and Coach Company has announced the emissions free vehicle will begin running along the city’s streets from this week. It is the latest move designed to reduce air pollution in the city – which exceeds EU safe standards along major bus routes in Lewes Road and North Street as well as Rottingdean High Street. The company is following in the footsteps of The Big Lemon company who are working to convert all their cooking oil fuelled vehicles into electric buses having received funding to create a solar powered recharging point at their depot. Previously plans for electric buses had been on hold because of concerns over whether electric vehicles would be able to cope with the city’s steep hills. 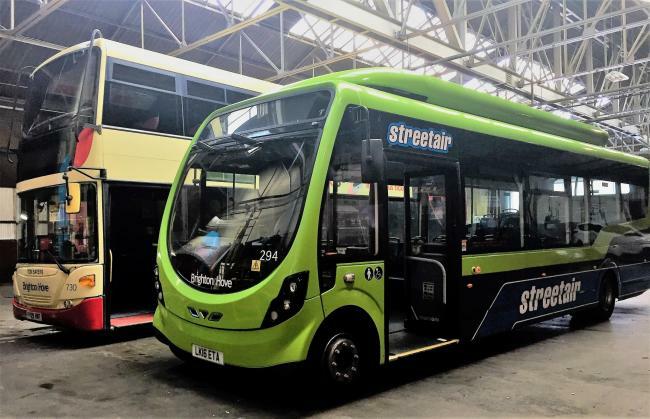 Under the trial, a small single-deck electric bus known as a Streetair is being trialled this week on the number 50 bus route which runs between the University of Sussex and Brighton Railway Station. The trial is designed to explore the right fuel options for the city in the short, medium and long term and will run on the city’s streets for a couple of months. The electric bus, which has come from Northern Irish-based bus manufacturer Wrightbus, will be charged overnight and feature messages informing passengers and residents about the trial. Passengers will also be able to pick up the environmentally friendly bus at Churchill Square, the Old Steine, Theatre Royal, Royal Pavilion, Jubilee Library, Brighton Museum, Brighton Pier and the Sea Life Centre. Last year the company, which was founded in 1935, phased out all of its remaining 100 Euro 3 emission standard vehicles and has spent millions on the highest-standard Euro 6 buses while converting other vehicles to lower-emission technology. Managing Director Martin Harris said: “We are excited to start this electric bus trial so we can see how the vehicle copes with the city’s topography and high passenger volumes. This entry was posted in Communications, Environment, Public Transport and tagged Brighton & Hove Buses, Environment, The Big Lemon, Traffic on 16/03/2017 by srraadmin.